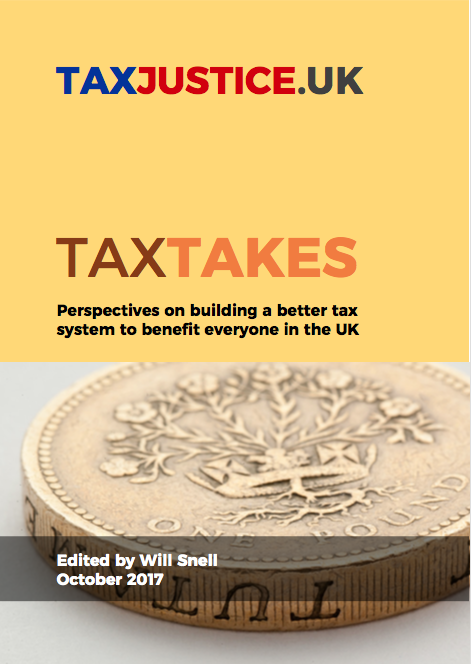 A decade ago, almost no one discussed the UK tax gap. One of the impacts of the global financial crisis is that this issue is now on the public, media and political agenda. This is to be welcomed. The tax gap is in two parts. The first and most discussed part is the difference between the amount of tax that should be paid in this country based on HM Revenue & Custom's reasonable interpretation of tax law and the sum actually paid. Most of this part of the tax gap arises because of tax abuse. Whether that abuse is supposedly legal, when some call it tax avoidance, or may be illegal, when it is usually called tax evasion, does not matter: the net outcome in both cases is that someone has deliberately decided to abuse the law as it stands (and with which most people comply) to secure an unfair advantage. To be blunt, they've cheated. This cheating has another component too: some people just refuse to pay what they owe in tax. Too often they get away with it because they trade through limited companies where the money has long gone before tax owing gets a look in, and is then lost forever. This is why company regulation matters for the tax gap. The second, and maybe as important part of the tax gap is the amount of tax not paid because of either official policy or HMRC failure. Tax policy can, it must be stressed, be socially useful, for example by setting low rates of VAT on essential items. It can also be deeply divisive, for example with regard to low capital gains tax rates, low corporation tax and the refusal of HMRC to engage with tax abuse by the likes of Google, Amazon and Starbucks. This tax policy gap can also arise because there are just not enough staff employed at HMRC to enforce tax law. HMRC does, for example, currently plan to close all tax offices north of Glasgow, west of Bristol and throughout East Anglia. This is going to weaken tax enforcement. How much these two issues cost is open to debate. HMRC say that the cost of tax abuse and tax bad debt is about £34 billion a year. Using very different approaches (including what I think is the quite reasonable assumption that if one tax, such as VAT, is not declared then other, related taxes, such as corporation tax might also be lost) I come up with the very much higher figure of £120 billion a year. Which is right is open to question and interpretation. What is beyond dispute is that the sums involved are huge and, as HMRC themselves admit, are simply unknown in some cases. This is also, rather embarrassingly for HMRC, also true of many issues relating to the tax policy gap, where the published data is very rough and ready, to be kind to them. And this matters: when austerity remains a core government policy and the excuse is used that this is because of a shortage of tax revenue, it automatically follows that the tax gap has an enormous social cost for society at large. In that case the reasonable question has to be asked as to what might be done about it. The official answer to this question is that HMRC's budget is to be cut significantly (see ‘Resourcing and Refocusing HMRC’). It almost seems as though it is government policy not to collect tax that is owed. What is required, then, is something significantly different. First, there has to be a commitment to more accurately assess the tax gap. HMRC cannot undertake this task because they are responsible for closing that gap: the risk of moral hazard in asking them to set their own target that this duality of tasks gives rise to is just too great for an issue of this significance. I suggest we need a new Office for Tax Responsibility to audit the tax gap and HMRC's successes and failures in tackling it for this reason. Second, I suggest that this new Office for Tax Responsibility should also audit the rationale for all tax reliefs and allowances and then identify those that no longer serve any social purpose and which could, as a result, be abolished. We can no longer afford pointless tax giveaways. Third, I suggest that HMRC be required to suggest how it could close the tax gap if given the resources to do so, and then be allocated the resources required to achieve as much of that goal as possible. Fourth, I would expect as a result that HMRC will restore its past commitment to tax offices being found in each moderately sized town in the country. If tax is the consideration in the social contract between the state and those it governs, HMRC must be represented in the communities it serves, and be accessible to taxpayers face-to- face as well as online. Fifth, it is time for the social purpose of tax to be reappraised as a critical part of macro- economic and social policy in its own right. Tax is not just a revenue-raising tool (if, indeed, it is even that when government can also pay for spending using borrowed funds), but is also a major tool for the delivery of social and economic policy. The time to appraise just how to meet these social and economic goals has arrived. And for that reason, nothing less than a Ministry of Tax, with a cabinet minister separately responsible for the delivery of tax policy, is now required to transform the way tax is seen by the government, the Treasury, spending departments and most especially by the people of this country, who are as dependent on the public services that tax can provide as some are dedicated to not paying it.